Grapes: 80 % Corvina, 10 % Rondinella und 10 % Barbera. Vintage climate: Very cold winter, very normal springtime. Many rainfalls during the all first part of the summer, but the end of July to the end of October the weather was sunny and dry, so the end of maturation and the harvest were simply perfect. Very balanced vintage, a great vintage. "Wine Enthusiast" has rated the wine "Musella Valpolicella Superiore Ripasso, Veneto, Italy" from the vintage 2010 on 11.01.2013 with 86 of 100 points. "Wine Enthusiast" has rated the wine "Musella Valpolicella Superiore Ripasso, Veneto, Italy" from the vintage 2009 on 11.01.2012 with 87 of 100 points. "Wine Spectator" has rated the wine "Musella Valpolicella Superiore Ripasso, Veneto, Italy" from the vintage 2007 on 31.10.2011 with 92 of 100 points. "Wine Enthusiast" has rated the wine "Musella Valpolicella Superiore Ripasso, Veneto, Italy" from the vintage 2007 on 12.01.2011 with 87 of 100 points. "Wine Enthusiast" has rated the wine "Musella Valpolicella Superiore Ripasso, Veneto, Italy" from the vintage 2006 on 10.01.2009 with 87 of 100 points. 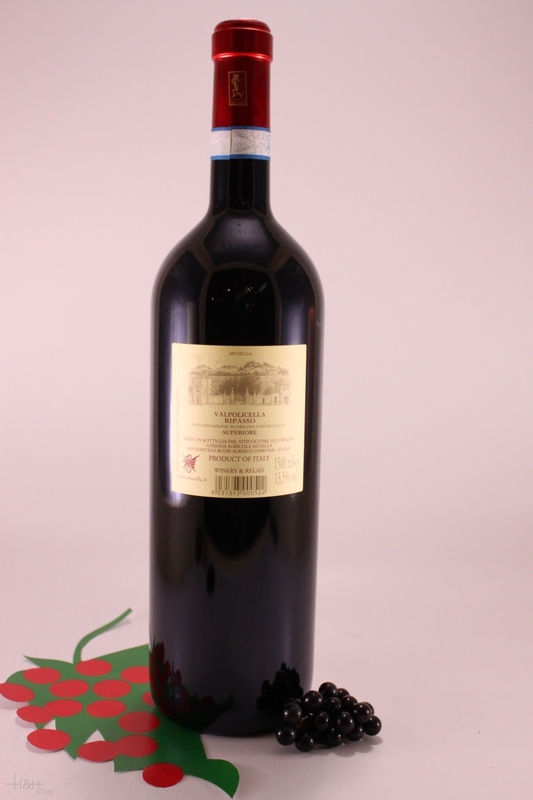 "Wine Enthusiast" has rated the wine "Musella Valpolicella Superiore Ripasso, Veneto, Italy" from the vintage 2005 on 10.01.2009 with 86 of 100 points. 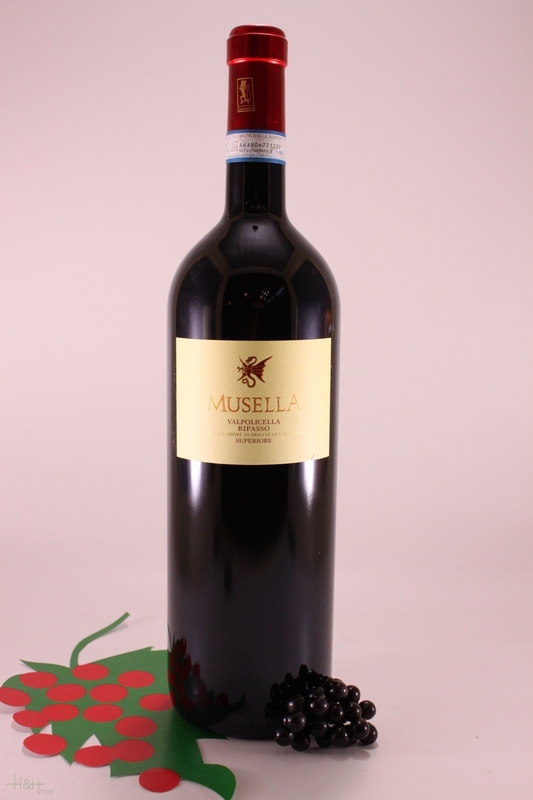 "CellarTracker" has rated the wine "Musella Valpolicella Superiore Ripasso, Veneto, Italy" from the vintage 2008 with 88 of 100 points. "CellarTracker" has rated the wine "Musella Valpolicella Superiore Ripasso, Veneto, Italy" from the vintage 2010 with 87 of 100 points.